A full color book depicting the uniforms and equipment of the Spanish and indigenous forces during the time of Spain's expansion in the Americas, together with paintings, graphics, organizational charts and maps. 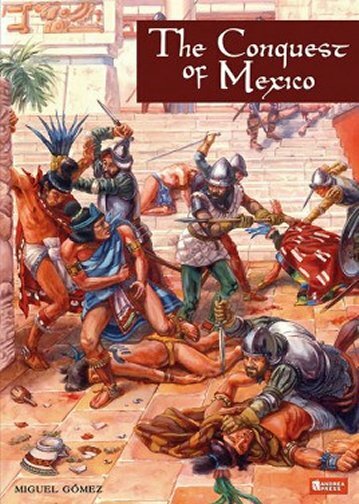 The book offers a compelling history of the campaign as western medieval "Civilization" clashed with the cultures already rooted in what is now modern day Mexico. The book will be of interest both to historians of the period and to wargamers and modelers.